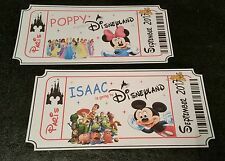 1x Personalised Novelty Gift Ticket. DESIGNED ON QUALITY TEXTURED CARD & ARE SHAPED IN THE STYLE OF A LARGE TICKET! £2.25 each. (Format: 1) Foldable card - sent by default. Paper: 1) White glossy photo paper 260 gsm (Matte back) - sent by default. - Colour of the text (use the chart). Suitable for Words of Wisdom, Advice for New Parents, Notes for the Bride to be and Save the Date Cards. We’re always happy to help. PERSONALISED PROPOSAL BALLOON BOX. WILL YOU BE MY GODFATHER, BEST MAN, USHER ETC. 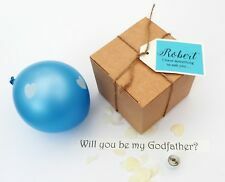 WILL YOU BE MY GODFATHER. WILL YOU BE MY USHER. WILL YOU BE MY BEST MAN. (Size: A4 or any smaller size (by request). Paper: 1) White glossy photo paper 260 gsm (Matte back) - sent by default. - Colour of the text (use the chart). 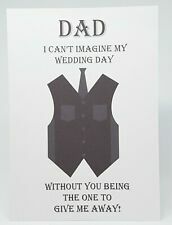 Will you be my Groomsman?. Bridesmaid/Maid of Honour/Chief Bridesmaid. Will you be my Bridesmaid?. but it can be changed to suit other occasions. and have a pre-cut hole that will pop over the bottle neck. With Fairytale Logo. Double mounted onto glitter card & colour contrast. 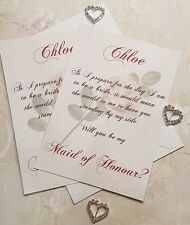 The next step is for you to agree the final design work & send all wording for your stationery. Due to the amount of sample requests we receive we are unable to personalise these although should a full order be placed you shall receive a full customised invitation if required. (Format: 1) Foldable card - sent by default. 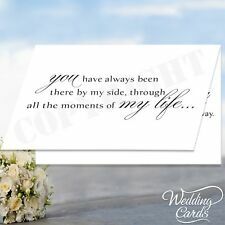 Paper: 1) White glossy photo paper 260 gsm (Matte back) - sent by default. - Colour of the text (use the chart). Free envelopes. As they are all hand made/cut there may be slight variances. Fairytale Book Style Invitation. Supplied with invite & RSVP envelopes. All our work is lovingly hand made to a very high standard, using only the best materials and techniques. 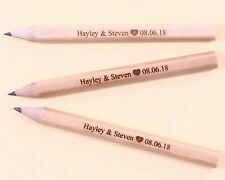 Due to the amount of sample requests we receive we are unable to personalise these although should a full order be placed you shall receive a full customised invitation if required. HOW TO ORDER STEP 1 Place your order Quantity 1 = 10 cards & envelopes Quantity 2 = 20 cards & envelopes etc STEP 2 Send us your order wording, photo (if required) & colour choice Via our email address which we will send you after purchase (eBay do not allow us to share our email before purchase) STEP 3 Approve your order for printing Electronic proof sent to you via eBay messaging within 24 hours (Mon-Fri) STEP 4 We print & post your order Orders are printed straight away & posted so they get to you as fast as possible Posted via 1st or 2nd class - choose at checkout FOR MORE OF OUR DESIGNS PLEASE [CLICK HERE] (https://stores.ebay.co. It is made of high quality pearl paper which is durable to use. The unique and fashion design makes it attractive and eye-catching. - Material: Pearl paper. - It is made of high quality pearl paper which is durable to use. We will get back to you as soon as we are available. And with the design of white card decorated with brown jute rope, it is ideal for weddings, parties or feasts, banquets and other formal or personal gatherings. GREAT VALUE - FREE ENVELOPES - SAME DAY DISPATCH! 30+ Designs To Choose From. FREE Same Day Dispatch! 1000s sold! The perfect way to give a ticket gift!